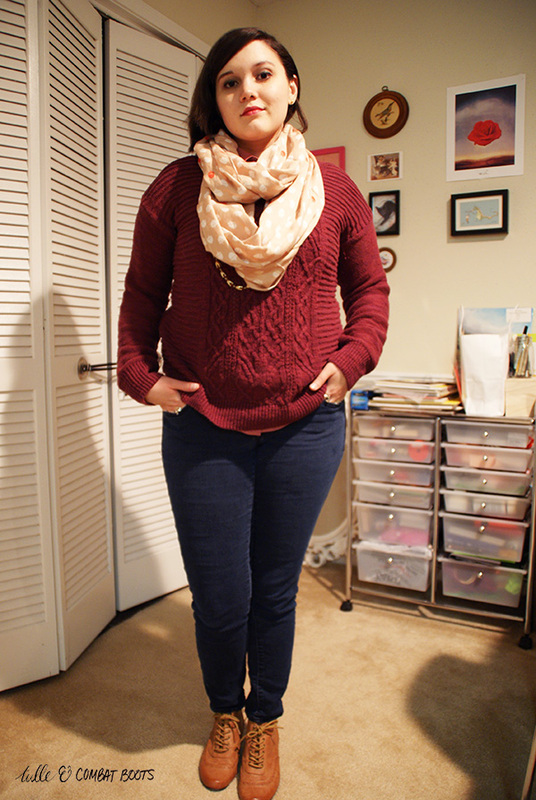 Tulle & Combat Boots: fall colors in winter. 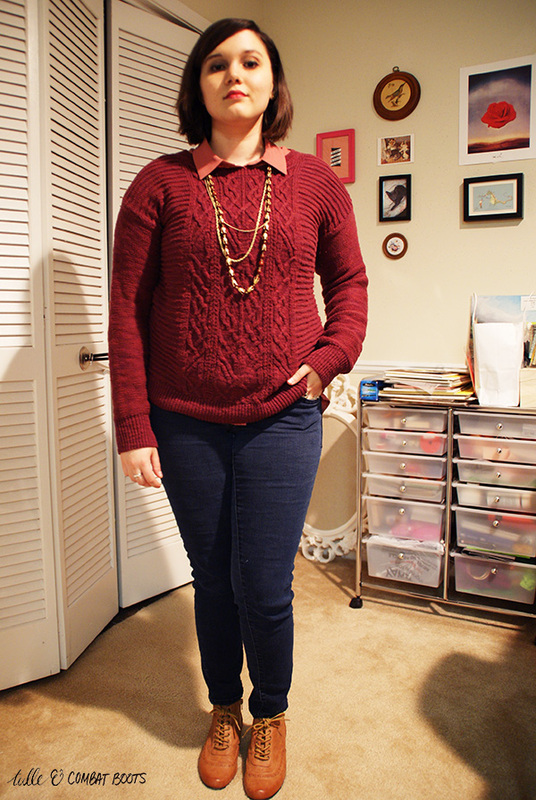 This is a very fall colored outfit buuut it's technically winter now so make of that what you will. 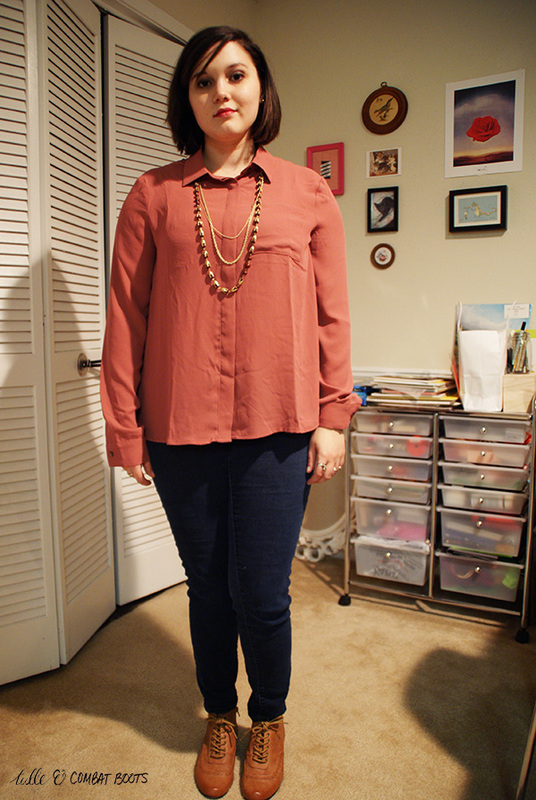 I loooove this blouse, it's two of my favorite fabrics (chiffon-ish & jersey) and it's comfortable and versatile. How cool is this layered necklace? We had a jewelry swap at work a month ago and it's taken me a while to figure out how to wear this, but I really like it.